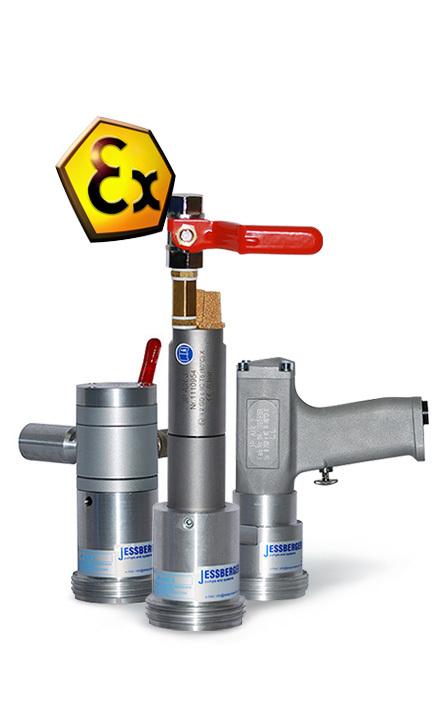 The JESSBERGER air operated motors are lightweight, powerful devices for almost all thin and lightly viscous liquid. 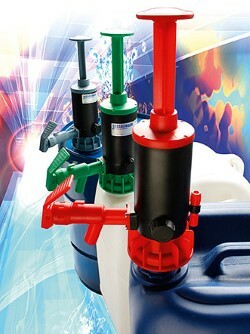 The clear construction of the drum pump guarantees a rational and safe use. Several pump tubes for different media are easily interchangeable and can be operated with the same air motor. The portable and and for stationary use designed air driven drum pump motors are particularly suitable for intermittent, short-term operation times. Outside Ex-areas our motors can be combined with the pump tubes of our competitors. Please ask us for details and convince yourself by our expert advice and the optimal price performance ratio of our products. The drum pumps with air operated motors and conductive stainless steel pump tubes guarantee absolute safety when pumping or transferring flammable media of different hazard classes or during use in hazardous environments. 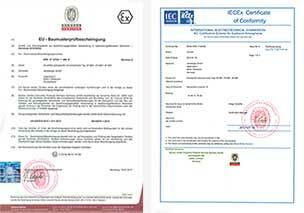 For pumping flammable media or use in hazardous areas the air-operated motors as well as the pump tubes made of conductive stainless steel need to have an ATEX approval for pumping flammable liquids. Further more it is absolutely necessary to set a potential equalization when pumping flammables.